Have you imagined owning an ultra-sharp 4K TV but thought you couldn’t afford it? Brush off those thoughts, because there are now plenty of 4K options that will give you a movie-theater experience at home without busting your budget. What separates the 4K TVs from the previous generation of HD televisions? 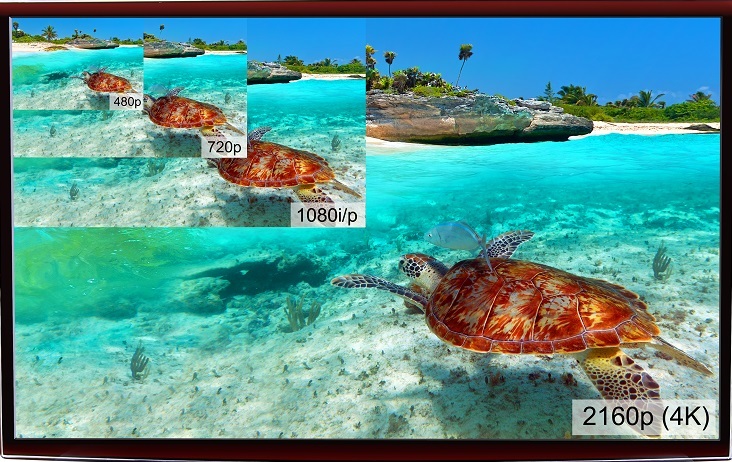 They pack double the pixels as the original HDTVS, and are the first models to get new technologies like wider color gamut and high dynamic range (HDR) video. The extra resolution of 4K images adds more detail, more depth and more color resolution, creating images that are so stunningly realistic that it feels more like looking through a window than watching TV. So here are some 4K TVs that will give you an improved home viewing experience without breaking the bank for you. Don’t forget to sign in to DubLi.com before you start shopping to earn Cash Back on your purchase. The prices for 4K televisions have dropped — now you can afford the visually stunning technology. While the incredibly budget-friendly Insignia certainly won’t deliver top-of-the-line quality like you would with a high-end model, it still packs quite a punch – and it’s up to $3,000 cheaper than some of the more luxurious competitors. The 55- and 60-inch models supply you with four HDMI ports to attach all your devices like sound systems, game consoles and media players. One of the best Smart 4K TVs, the Sony X830C matches a great price with good picture quality. The 49-inch model is priced at less than $900 at a wide variety of online stores that partner with DubLi.com. The X830C comes equipped with the 4K Ultra HD Media Player4, where you can choose from a vast range of 4K videos, or browse a host of classic movies and new releases to buy or rent. Additionally, the breakthrough 4K Processor X1 delivers ultra-lifelike detail, using new algorithms such as Noise Crusher, Flat Area Detection and Super Resolution. The English translation: your entire viewing experience, from picture to sound, reaches another level. The proprietary VIZIO SmartCast™ allows you to control TV shows, movies and music on your display from your VIZIO SmartCast™ Tablet Remote. Some online stores, offer the 50-inch M Series for under $900, and the 65-inch for under $1,500. Shop through DubLi.com at your favorite electronics stores that ship to your country and find the best deals. There’s never been a better time to shop through DubLi.com — you will earn DOUBLE Cash Back for 90 days with a free Premier level trial! To save even more, check to see if the store has a price-match guarantee.